Classical approaches to causal inference largely rely on the assumption of “lack of interference”, according to which the outcome of an individual does not depend on the treatment assigned to others, as well as on many other simplifying assumptions, including the absence of strategic behavior. In many applications, however, such as evaluating the effectiveness of healthcare interventions that leverage social structure, assessing the impact of product innovations and ad campaigns on social media platforms, or experimentation at scale in large IT companies, assuming lack of interference and other simplifying assumptions is untenable. Moreover, the effect of interference itself is often an inferential target of interest, rather than a nuisance. In this talk, we will formalize technical issues that arise in estimating causal effects when interference can be attributed to a network among the units of analysis, within the potential outcomes framework. We will introduce and discuss several strategies for experimental design in this context centered around a judicious use probabilistic models, which we refer to as “model-assisted” design of experiments. In particular, we wish for certain finite-sample properties of the estimator to hold even if the model catastrophically fails, while we would like to gain efficiency if certain aspects of the model are correct. We will then contrast design-based, model-based and model-assisted approaches to experimental design from a decision theoretic perspective. 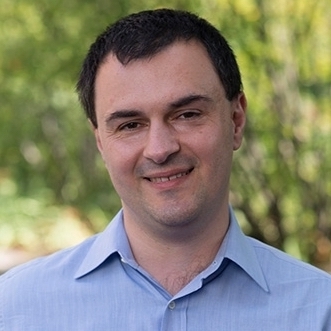 Edoardo M. Airoldi is an Associate Professor of Statistics at Harvard University, where he has been directing the Harvard Laboratory for Applied Statistical Methodology & Data Science since 2009. He holds a Ph.D. in Computer Science and an M.Sc. in Statistics from Carnegie Mellon University, and a B.Sc. in Mathematical Statistics and Economics from Bocconi University. His current research focuses on statistical theory and methods for designing and analyzing experiments on large networks, and on modeling and inferential issues that arise in analyses that leverage network data. His work has appeared in journals across statistics, computer science and engineering, including Annals of Statistics, Journal of the American Statistical Association, Journal of Machine Learning Research, IEEE Transactions on Signal Processing, Proceedings of the National Academy of Sciences, and Nature. He is the recipient of several research awards including an Alfred Sloan Research Fellowship and a Shutzer Fellowship from the Radcliffe Institute of Advanced Studies. He recently delivered a plenary talk at the Sackler Colloquium on Drawing Causal Inference from Big Data at the National Academy of Sciences, and an IMS Medallion Lecture at the Joint Statistical Meetings 2017, in Baltimore.